From Goodreads ~ As the old saying goes, "You can pick your friends but not your relatives." In tranquil Northumberland County, Ontario, two families are well acquainted with the grim truth of that innocuous-sounding expression. They are the descendants of the first, and only, man executed in Northumberland's history. In a sordid true-crime tale of poison and philandering in 1850s Ontario, the respected Dr. William Henry King astonished the countryside with the sinister murder of his wife and with his subsequent attempts to evade justice. His capture and conviction were triumphs of vengeful relatives and early forensic science. In 1853, Dr. William Henry King married Sarah Ann Lawson. They were from small communities a couple hours east of Toronto. Dr. King eventually became a doctor and set up a practice in Hamilton, about 45 minutes west of Toronto. 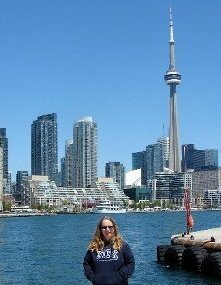 A few years into the marriage, there was trouble and Sarah moved back to Brighton (east of Toronto) to live with her parents. Dr. King and Sarah eventually reconciled but his eye was constantly wandering. He eventually became involved with Melinda, a friend of Sarah's. So he and Melinda could be together, Dr. King started poisoning Sarah and she eventually died. Dr. King was arrested and tried for Sarah's murder. 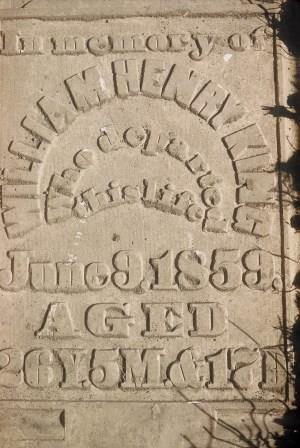 He was found guilty and condemned to hang in Cobourg in June 1859. This book is the true story of Dr. King and Sarah and the aftermath of Dr. King's actions. Dr. King was the author's great great uncle ... he grew up in the house Dr. King did. I like the writing style and it's obvious the author had done a lot of research to present the information. 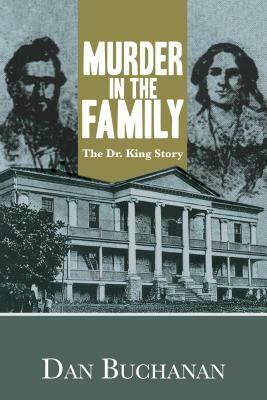 In addition to the story, the author also includes a copy of the coroner's report, letters between Dr. King and Melinda, the journal of Alexander Stewart who was assigned the job of living with Dr. King in jail for the two months between the sentencing and the hanging, Dr. King's confession, Dr. King's address just before he was hanged, information about the King and Lawson families and more. Dr. King was the first and last person to be hanged in Northumberland County. It's estimated more than 10,000 people gathered ... amazing considering the population of Cobourg at that time would have been about 4,000. I would recommend this book. I had never heard of Dr. King but I found it to be an interesting story.